Posting Preview Chapters – Good Idea or Bad? | Shannon Winslow's "Jane Austen Says…"
A few months back, I posed a question on Facebook about posting preview chapters of upcoming novels online. Did people like the practice or not? Did reading the opening chapters ahead of time make them more or less likely to purchase the book when it was finally published? That sort of thing. Unfortunately, the results of my informal survey weren’t very conclusive. Some said the preview chapters got them hooked, and they would definitely want to get the rest as soon as it was available. Great! Others said that if they really got into the story, they became annoyed that they had to wait for the rest, frustrated that they couldn’t find out what happened right away. Not great. So this is what I decided – a compromise that I hope will make everybody happy. I am going to post chapters of my upcoming novel, The Ladies of Rosings Park, weekly at Austen Variations beginning this Monday, January 22 (follow this link). Read them if you wish or ignore them completely until the whole book becomes available. Your choice. Either way, it won’t be a long wait, because the novel should be out in early March. In the meantime, I thought I’d give you a preview chapter of a different book here, one you may not have read yet. If this idea is a big hit, maybe I’ll continue on. But the point is, you don’t have to wait to read more since the book is already available! So here’s a specially selected chapter from Leap of Hope. 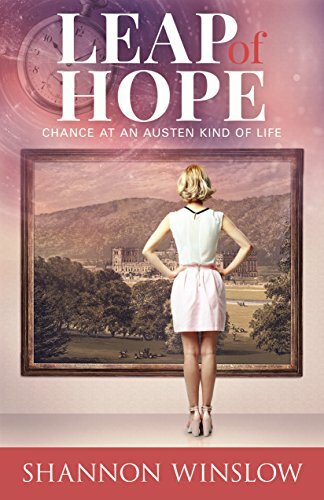 Set up: Hope, a modern-day coed from the American south, has been granted her wish for an Austen kind of life (for now, never mind how this happened), and she has just been transported back in time to begin her second chance. She will be slipping into the shoes of a girl named Kathleen (Kate) Barrett, whose personality and situation are as much like another Lizzy Bennet as can be. Do you think Hope is prepared for all the differences and challenges of English Regency life? Would you be? 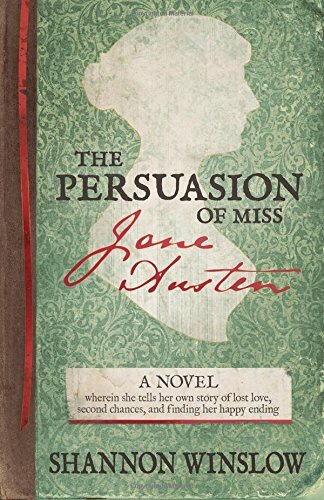 She is depending on her Jane Austen knowledge to get her by until she can settle into her new life. She has to make this work because there’s no going back! I could hear the voice, but I couldn’t answer right away. Even though I remembered where I was supposed to be, I still didn’t quite believe it. I must have viewed the scene a hundred times at the Center, forwards, backwards, and crossways: Lucy and Kathleen out for a sedate horseback ride on that fateful day. Then, Kathleen had suddenly taken it into her head to race away at top speed. I could see how exhilarated she was – laughing, with the wind blowing in her face – and I could relate. It seemed a lot like something I might have done in her place. I always headed straight for the more extreme rides at any amusement park or county fair, and I admit to driving a little too fast with the windows rolled all the way down. So I could just as easily have been the one who met with disaster. Well… actually, I did meet with disaster; it just didn’t happen to be on account of my taking risks. Anyway, Kathleen ignored the warnings her sister called after her and rode even faster. That’s when, as I saw it, she made her fatal mistake. Nearly at the last moment, she turned Horatio’s head to the left, steering him onto a trail that would take them through the woods. The gelding made the corner but Kathleen didn’t. It was horrible to watch. For a moment, she seemed to hang there in midair, half in and half out of the saddle. But gravity won out, like it always does. Over she went, tumbling toes over teakettle to the ground, landing on her behind and knocking her head. That’s when the exchange was supposed to take place, with me slipping in just as Kathleen slipped away. I could swear we passed practically right through each other and that, just for a moment, she saw me. Maybe I only imagined it, but it seemed like she understood. I like to think so, anyhow. This time I opened my eyes. There was the sky directly overhead where it should be – a puffy patchwork quilt of clouds in different shapes and shades – and to one side, a shadowy face hovering. The face gradually came into focus and connected to a body. “Lucy?” I said. “Is that really you?” At least that’s what I tried to say. What actually came out of my mouth sounded like total gibberish, and then I guess I went unconscious again. The next thing I knew, I was waking up in a very old-fashioned looking room, like something somebody’s great-grandmother might have thought was stylish back in the day. There was brown paisley print wallpaper, a picture rail all around, and no overhead light fixture where you’d expect to find one. It all seemed both familiar and unfamiliar at the same time. I was flat on my back again like before, but this time at least, it was in a comfortable bed instead of on the hard ground. And now I had six worried faces staring at me instead of only one. The closest person was a youngish man, who I remember thinking was criminally handsome. He kept waving something nasty-smelling in front of my nose, though. I could not, not as Hope O’Neil or Kate Barrett either one. I had to get a firmer grip on reality before daring to open my mouth. It seemed to be true, though. Everything had happened just as Cora and Poindexter had told me it would. I was alive as promised and presumably in 1809. This was Kathleen’s house, Kathleen’s room, and Kathleen’s family gathered around the bed, looking at me and seeing their beloved Kathleen. I recognized them all from my research. And the young man must be a doctor, I decided… or surgeon or apothecary or whatever the period-correct term might be. I shouldn’t have been surprised. This is what I’d planned, after all, what I had asked for. But somehow I don’t think I had understood – not deep down, anyway – that it would actually come to pass. “I’m okay,” I managed before my hand flew up to cover my lips. Cora had warned me, but it had still been a shock to hear Kate’s voice coming out of my mouth! Darn! A mistake already! Ditch the contractions and no ‘okay’ either – too contemporary. I exhaled a small sigh of relief, silently blessing the good doctor for his explanation. I didn’t necessarily like his tone – which immediately struck me as condescending, possibly bordering on contempt – but he had neatly excused my first error and conveniently established my alibi for all the others that would surely follow. Still, the sooner I got my head in the Regency game, the better. Time to break out that British accent I’d been secretly cultivating too. Choosing my words more carefully and preparing myself for the strange sound of my new voice, I tried again. “I am well,” I said. “I have a little pain in my head; that is all.” Much better. I could do this. It would just take a little focus and a little practice. I gazed around the circle at the Barretts, my eyes hungry to take them in for real this time. They were all there – Mr. and Mrs., Lucy, Carmen, and Matilda – in 3-D flesh, not just virtual on a screen anymore. This was my new family!… for better or worse, for richer or for poorer, forever and ever. And it was sort of like a marriage in that there was no going back. The strangest thing was my growing sensation that I had known them all a long time, much longer than the period of my research at Crossroads. Bits of brand new memory began popping into my head too. Looking at Matilda, I had a vivid impression of more than once watching her carefully choose a long, flat blade of grass from the garden to use as a bookmark. Where had that image come from? And Papa Barrett winking at me across the dinner table after a remark that amounted to a private joke between us. These must be some of the ‘carryover’ memories Cora had talked about, things I inexplicably now knew just because Kathleen had known them before me. Perhaps she had handed them off to me as I slid past her on the exchange, like the baton in the relay races I used to run on the high school track team. It was a little creepy on one level, considering that I was, more or less, inhabiting the skin of another person, the skin of a dead person at that. Probably better not to think about it too much, I decided. It was just one of those mysteries of life we weren’t meant to understand, like how the universe is infinite or why some women can wear hats and others just look ridiculous. The more of Kathleen’s memories I recovered, the better; that was the practical point. There would be less groping around in the dark that way, and a lot less stumbling into gopher holes. Even the stern but distinguished-looking doctor in front of me began to seem familiar, although I couldn’t imagine why. I was sure I’d never run across him in my research. Not even once. That particular flavor of sweetmeat I would have remembered. He was still staring at me, now with one eyebrow lifted, like he was challenging me to say something. Then he turned to speak to the others. “I believe Miss Kathleen is out of danger,” he said. “Rest is the best thing for her, so if you would be so kind…” He stood, towering over the bed, and began ushering Barrett after Barrett towards the door with a definite air of authority. I did say something then. “I desire that Lucy should stay with me for a while,” I declared, proud of how I had phrased it. It sounded very Regency-ish to me. At the same time, I reached for my new sister’s hand, thinking it’s what Kathleen would have done. Lucy smiled tenderly down at me. “May I, Mr. Cavanaugh?” she asked. He directed this last bit at me, that is to say Kathleen, with a serious look. I hardly knew how to respond, so I just nodded. Apparently satisfied, the doctor went away, leaving Lucy and me alone. Although I believe Lucy Barrett was as solicitous for my health as any sister could possibly be, she was equally enthusiastic for the subject I had suggested. Once I had assured her I was not too tired to hear it, she launched into an animated recital of Mr. Sotheby’s merits in impressive detail. He was rumored to be rich. Most importantly, though, he was definitely single. Lucy had cleverly induced him to give up this information. He must also be handsome, I suspected, judging from the way she was blushing as she talked about him. His gallantry could not be doubted, considering how he had managed to be around just when help was needed. “And he is so strong!” Lucy continued, breathlessly. “I can imagine, though. I have witnessed such things before,” I added, thinking of that rain-drenched scene in my favorite film version of Sense and Sensibility. “Oh, never mind about that now. Tell me more of Mr. Sotheby. And what of this Mr. Cavanaugh? 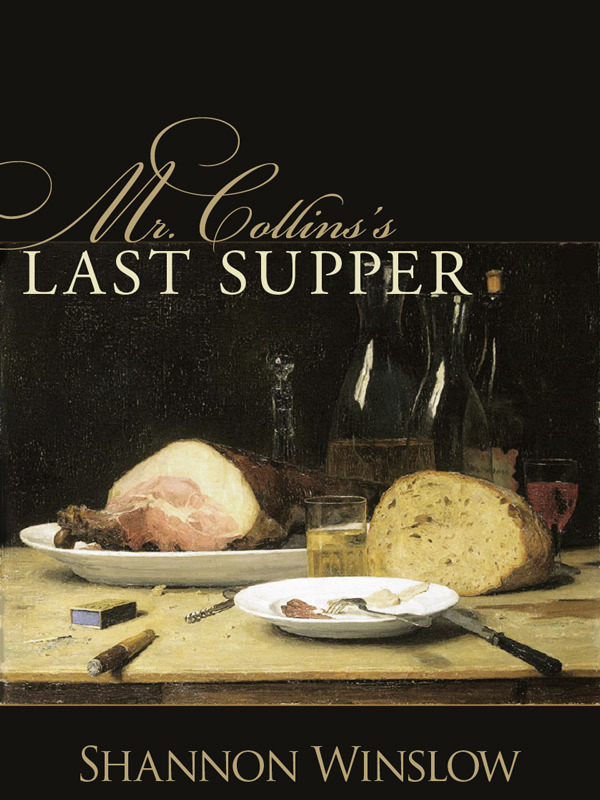 His manner implied some level of acquaintance, but I really cannot at this moment remember.” Here, I closed my eyes and reached one hand to the back of my bandage-wreathed head to reestablish the reason for my lack of recollection. But suddenly I did recall – another carryover memory. Mr. Cavanaugh had been speaking to some gentleman or other when Kathleen happened to be passing unnoticed behind them. How rude! How very Mr. Darcy-ish of him (the Darcy before Lizzy taught him the error of his ways, that is). No one could blame Kathleen for refusing to dance with the man after that! Kathleen had seen Mr. Cavanaugh for what he was that night. Now it was my clear duty to go on disliking him in Kathleen’s place, out of loyalty to her and on principle. He probably only bothered to attend me because my father had enough money to pay him well. “Oh… I mean… I mean that he gives himself airs,” I corrected. “He thinks too well of himself, above his company. And who is he, after all? Only a doctor.” My outburst had been another mistake, but at least I had remembered that doctors had no special status here. I humbly obeyed, relieved to have an excuse to shut my big, fat mouth too. I had begun feeling at home in my new role, to enjoy being in character, so much so that I let down my guard. And look what happened! When Lucy described our handsome new neighbor coming to rescue ladies in distress, I had pictured Willoughby sweeping Marianne up into his arms. And when Lucy spoke so favorably of Mr. Cavanaugh and Mr. Sotheby both, I had heard Jane Bennet’s voice. Although I was tickled beyond anything to finally be a living, breathing part of the culture that had inspired the Regency stories I loved so much, ideas like this were bound to keep popping into my head. How was I supposed to stop them popping out of my mouth? That was the question. 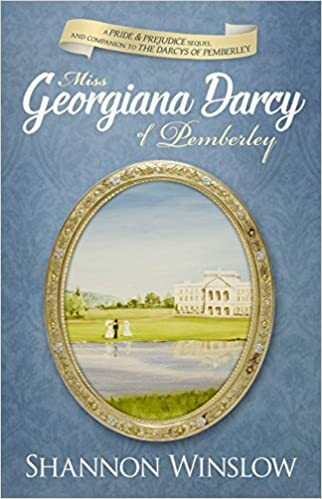 It seemed like this was going to be harder than I’d expected since everywhere I turned I was sure to see something that would remind me of Austen – her books and the movies made from them. My mistakes might be blamed on my accident for a while, but not forever. Keep your head in the game, Hope, I coached. Then I reminded myself of one more very important fact. There was no more Hope; I was Kathleen now. I Hope you enjoyed your sample chapter from Leap of Hope! Leave a comment about it or how you feel about the practice of posting preview chapters, and have a great day! 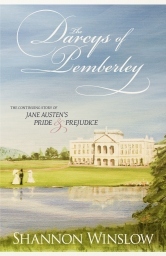 This entry was posted in English Regency culture, Jane Austen, Jane Austen Quotes, my books, Shannon Winslow, Shannon Winslow's writing, Uncategorized and tagged excerpt, Jane Austen, Jane Austen quotes, Leap of Hope, preview chapters, Shannon Winslow, Shannon Winslow's novels, The Ladies of Rosings Park. Bookmark the permalink. 4 Responses to Posting Preview Chapters – Good Idea or Bad? I enjoy chapter posts that pull you in and make you look forward to the book! Just read the first chapter and looking forward to more. Especially, looking forward to the book! 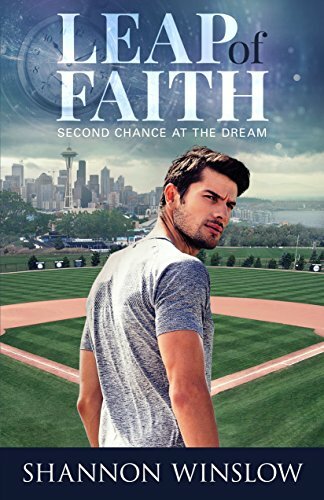 I have both Leap of Faith and Leap of Hope on my Kindle…will have to bring them up to the top of the pile! Those books were so much fun to write. Well, truthfully, they all are, but for different reasons. I hope you enjoy them, Carole, and thanks for stopping by!